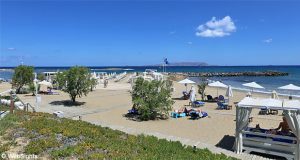 The holiday resort Anissaras is located in the north-eastern part of Crete, approx. 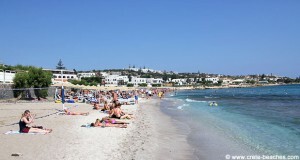 25 km east of the capital, Heraklion, and 2-3 km north-west of the bigger holiday resort Hersonissos. 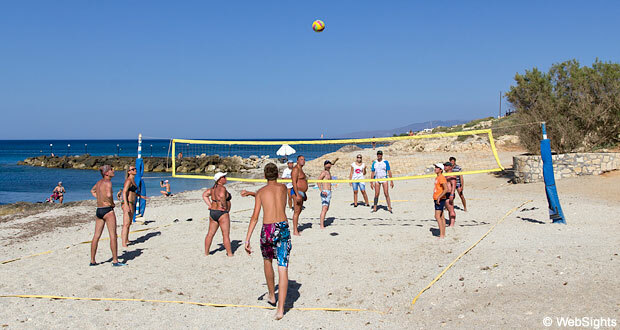 The beach in Anissaras is almost 1 km long, but the main part of the beach is only 10-20 metres wide. The beach is mainly covered by bright sand mixed with some gravel in some places. The water is incredibly clear, but deepens relatively fast. 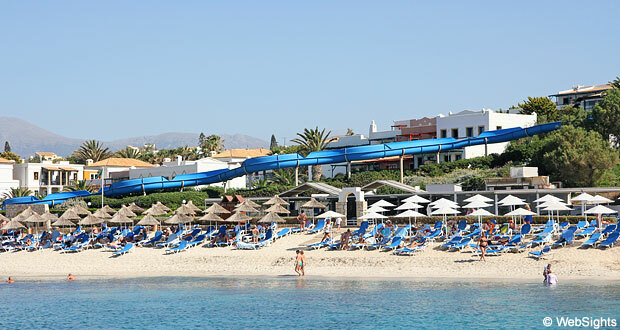 There are many sections where you can rent sun lounges and sunshades and there is access to showers. There is usually plenty of room at the beach. The sand is good to play in, also along the waterline. However, the water deepens rather abruptly. It is possible to rent jet skis, windsurfing equipment, sea kayaks, small catamarans and water bikes. There are a few restaurants behind the beach, but otherwise most restaurants are located at the hotels. Anissaras is most of all an area with many relatively new and family-friendly hotels. There is no actual main street or town centre, however, there are quite a few restaurants, mini-markets and tourist shops in the area. A few kilometres to the west, you will find the friendly small village of Analipsi, whereas Hersonissos is located a few kilometres to the south. In Hersonissos, there are many shops, restaurants etc.